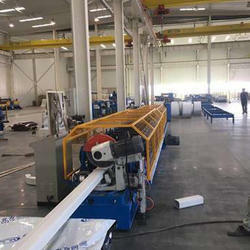 Downspout Water Pipe Roll Forming Machine is some type of interlock pipe making machine. The downspout water installed on the top of the building for the water could be run in the pipe and then to the ground. For the downspout pipe, there is square shape, round shape, half round and others, all we could make for you. Looking for Downspout Roll Forming Machine ?